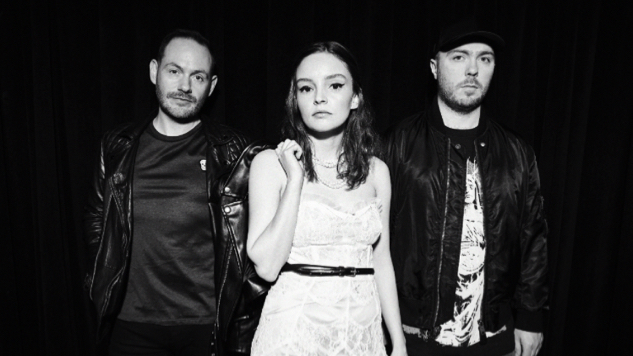 There’s just over a month left before CHVRCHES release their third album, Love Is Dead (May 25, Glassnote), and the Scottish electro-pop trio have wasted no time in laying out their 2018 tour slate. Having already announced a number of summer festival dates earlier this year, the band now tacks on a 14-date North American tour, adding a live drummer to their touring lineup for the first time since their formation. CHVRCHES begin their fall run with a Sept. 20 show at San Diego’s Open Air Theatre, criss-crossing North America for stops at Seattle’s Paramount Theatre, St. Paul’s Palace Theatre, Asheville’s Thomas Wolfe Auditorium and Nashville’s Ryman Auditorium, among others, before concluding their run at Boston’s Orpheum Theatre on Oct. 20. Tickets go on sale this Friday, April 27 at 10 a.m. local time, with $1 from each ticket benefitting Girls Rock Camp via Plus 1. So far, the band has released four singles from their new album, including “Get Out,” “My Enemy” (featuring The National’s Matt Berninger), “Never Say Die” and “Miracle”—the band teased the music video for that last, most recent single over the weekend. All indications are that Love Is Dead will be CHVRCHES’ biggest, brightest, most ambitious album yet. See CHVRCHES’ full tour itinerary below, beneath Paste Cloud audio from their 2013 Daytrotter session, and revisit the details of Love Is Dead right here.